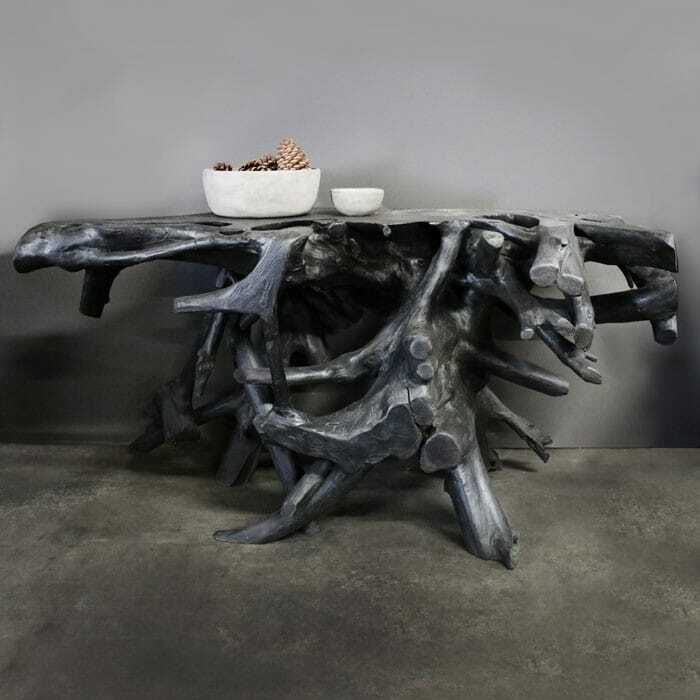 This stunning root console table is truly a work of art by nature. It has been minimally processed and shaped so that its natural beauty is exposed. Each console table is organic and unique. It’s a wonderful way to bring nature to your living space. Please call us today for more questions about our line of root console tables. Available in both a natural and black finish. Please note that pieces are unique and different and each one will differ in size.